Bloodstock festival have announced that two of next year’s headliners will be Gojira and Nightwish. Gojira make their headline debut after wowing crowds last year on the main stage before Mastodon. 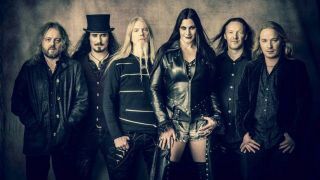 This is the first Nightwish UK live date announced since their headline show at Wembley Arena in December 2015. The announcement was made on the big screens on the Bloodstock main stage following Kreator before headliners Ghost. No word has been given on who the final 2018 headliner will be or when it will be announced. This year’s Bloodstock festival sold out of weekend tickets (but day tickets are available) and is headlined by Amon Amarth, Ghost and Megadeth.